I re-watched the first season of Batman: The Animated Series recently for the first time since I was in my tweens. (And boy, does that make me feel old.) I loved this show when I was a kid, but I don’t think I was really old enough to appreciate how brilliant it was. As an adult who’s interested in superheroes and storytelling, I got a lot more out of it. Not only did it entertain the heck out of me, but it gave me a lot to think about writing-wise. I’m kinda obsessed with journals. It’s not my fault. 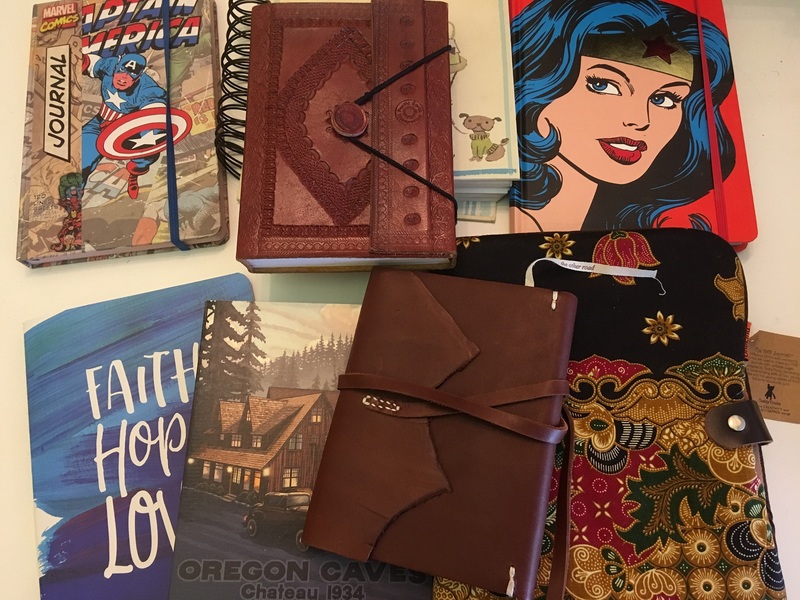 There are so many gorgeous journals out there just begging to be bought, and I’m a writer. A pen and paper are tools of the trade, so buying journals is a pretty much a business expense. The thing is… I hardly ever write in them. Of course there’s a Wonder Woman one. You should know me by now. Hey, guys! 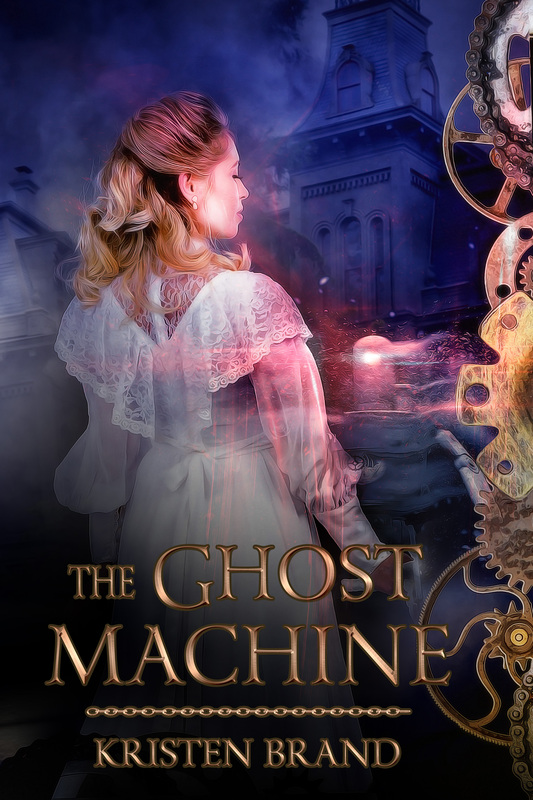 If you haven’t read The Ghost Machine yet, it’s on sale for 99¢ this week as part of the promotion for Clockmaker‘s upcoming release. Grab the ebook off Amazon before it goes back up to $3.99 this weekend. Also, I had so much fun making a Pinterest board for Clockmaker that I decided to make one for The Ghost Machine, too. Check it out to see pictures of beautiful Victorian Era gowns, steampunk robots, and spooky scenery. Finally, here’s a bonus look at one of my early drafts of The Ghost Machine‘s first chapter. It’s not as drastically different as that early draft of Hero Status that I posted a while back, but there are still some interesting changes. Hero Status sprang from my mind, fully formed, like Athena from the head of Zeus. Lol, no. It was actually a painfully long first draft, followed by countless rewrites, beta feedback, and even more rewrites. Scenes were added, the structure tweaked, and the writing ironed out before it became the version you now read. But that’s pretty standard for most novels. I’d almost forgotten about the bonkers early version I abandoned before going back and restarting the whole thing from scratch years later. Way back in 2008, I started writing my first piece of superhero fiction for National Novel Writing Month in November. This was the precursor to Hero Status, though it’s pretty much unrecognizable. It starred not Dave but Elisa–or at least the character who would eventually become Elisa. She had a different name in this and a different origin, being an experiment of Dr. Sweet’s whom Dave rescued and adopted. The book was about her going off to college and dealing with Dr. Sweet’s attempts to recapture and brainwash her. Looking back at the file, I made it about 24,000 words in before giving up. I moved on to other books, but something about the concept and characters of that old untitled novel kept calling to me. I began outlining a new version, changing Elisa’s character to being Dave and Val’s biological child and having her torn between her parents’ heroic and villainous legacies. But I didn’t like that either. Eventually it dawned on me: the daughter character wasn’t what made this idea interesting. It was her parents, the retired superhero and former supervillain, and the question of how two people with such conflicting morals and personalities could have such a stable, happy relationship. Fight Crime! (A Love Story) is over. Looking back, the first post is dated June 28, 2016, which feels like forever ago. Now that it’s finished, I find myself with a gap in my blog schedule and no idea what to fill it with. So help me out, super readers, especially those of you who signed up to get these posts by email. 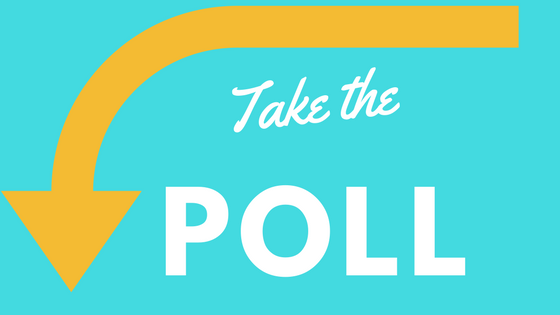 What do you want to read on this blog? I’ve thrown out some ideas I’ve been considering below, but if you have another request, feel free to leave a comment. I’d love to hear what you think. I haven’t forgotten Almost Invincible, and I made some good progress on it over Christmas vacation. My new resolution is to publish it in the second half of this year. As a bonus, I’ll be putting out a prequel short story in the White Knight and Black Valentine Series by the end of February. I also want to write a side story in the same universe as Ghost Machine (I’m thinking of something starring Captain Melek, because she’s awesome. ), but I’m prioritizing Almost Invincible for now. I have a dozen ideas for new stories, and my hope for 2017 is that I’ll be able to carve out the time to write them all. Happy (Belated) New Year, everybody! 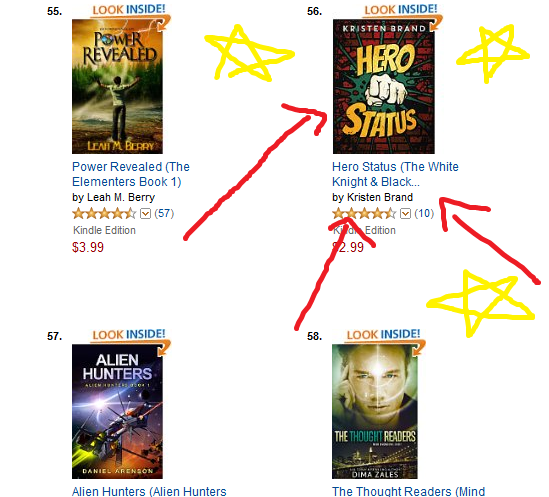 Hero Status has been out for about two months now, and it’s still hanging in there on Amazon’s bestseller list for superhero fiction! This completely blows my mind and smashes my expectations for this book (granted, my expectations were very, very low, but still). Hero Status has also gotten some great reviews, one from the Open Book Society here, and another at My Train of Thoughts here. I’ve got an article up on Superhero Nation here about using sensory details to enrich your story. It’s a great website for writers in general and writers of superhero fiction in particular, so check it out. And finally, Hero Status was the fantasy pick last month at SciFi Fantasy Freak, which is a handy resource for new, free, and discounted spec fic ebooks. And that’s it for now! Time for me to get back to work on Villainous.